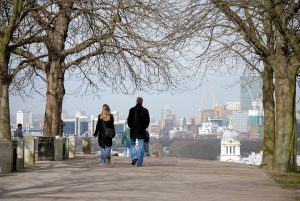 Despite what many think, London is a city that is great for walking. There are many green areas and paths that vehicles can’t get to and the pavements all over the city are being improved all the time. Transport for London has been trying to support healthy and environment-friendly alternatives and now treats walking as any other of form of transportation. You can catch up with the 6 previous post about travelling in London here. A lot of times short trips will be faster if walking than by bus or driving, especially in Central London. If you’re only going for 2, 3 or 4 stops you could be better off by walking (and it could also save you some money). There are also some journeys that can be done by underground that are actually a lot faster when you walk. Especially if there are changes or a lot of steps. TFL has a great list of journeys that are faster when walking here. In most high streets and outside many stations, as well as important roads and landmarks there are signs with maps of the area that show how long it takes to walk to different places in the area. When you are not sure if walking is a good option, look for these signs. They are dark blue with white and yellow writing, and there are more than 1700 spread around London. There are thousands of promoted walks around London. Some go through the city, some through green areas, and most through a mix of both. Sometimes there’s a theme to the walks, for example architecture or the life of an author, other times they follow natural formations, such as a river. You can find many of these walks on the websites of the different Boroughs with maps and guides. The Ramblerswebsite has a great search option where you can find walks near any postcode. You won’t be able to see all the information of the walk unless you are a member, but you usually get enough to follow short walks or what you need to find full maps for longer walks. Right next to our school there are two short walks you could do next time you come to class: Stockwell to Brixton avoiding the main roads (takes about 1 hour) and a round walk around Clapham Common(just under 1 hour). Capital Ring: a great way to see some less-popular green areas and town centres outside of zones 1 and 2. Green Chain: mostly green spaces in the Southeast. Jubilee Greenway: a walk through most of the locations of the 2012 Olympic and Paralympic games. Jubilee Walkway: the best way to see ‘tourist London’, great for when you have visitors for a short time. Lea Valley Walk: green spaces in the Northeast. LOOP: a walk that surrounds London, more countryside and less city but still easy to reach by public transport. Especially good for those who are not yet ready for countryside walks and encounters with cows, but want to get away from the city. 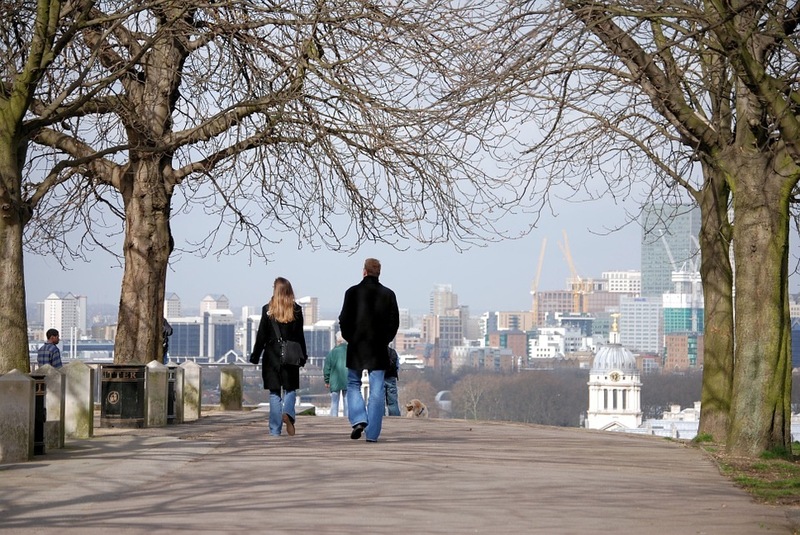 Thames Path: a walk that follows the river through London. Many of the most important landmarks can be seen along the walk. The TFL website has full maps and directions for these walks for free. Most parts are easy to walk with mobility issues and with children, but for the parts that are a bit harder there are always easier alternatives. When you finish a walk you can even download a certificate of completion. Wear sensible shoes. Make sure they are comfortable and non-slip. Slipping on a rainy day while wearing heels can mean several weeks of recovery. If you need nicer shoes for work, carry them in your bag or backpack and change them when you reach your destination. At night make sure you choose a well-lit path. You will be safer from any ill-intentioned person as well as from accidents. Carry a drink. A warm one in winter and a cold one in summer. In London you’re never far from a supermarket or cafe where you can buy something, but bringing your own will save you time and most importantly: money! Everyone is always in a rush, but cross the road where and when you are allowed. Waiting for an extra 30 seconds could save your life. Specially during dark days and at night, wear clothes that are easily seen. Nothing can be more dangerous than someone wearing head-to-toe black during a rainy night. And one last tip: look where you’re going, not at your phone screen!